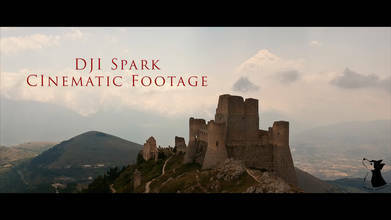 This epic reel by Mauro Pagliai demonstrates two things: (1) the cinematic potential of DJI's tiny Spark drone and (2) the beauty of Italy's Abruzzo region. Abruzzo lies on Italy's eastern (Adriatic Sea) coast, southeast of Rome. Most of this video was shot in its western portion, a mountainous land full of stunning castles and villages. As you'll see, the Spark footage is astoundingly high quality, and it draws out the natural beauty of this ancient land. Description: This is my first try to grading the DJI Spark footage. I like it very much. Let me know what you think about it in the comments. Thank you!